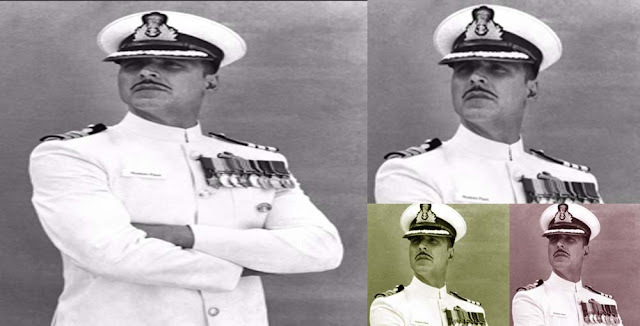 Rustom Movie First Look : Akshay Kumar had got superb and interesting role that is a Navy Officer. On 25th February, 2016 at morning time approximately at 7 A.M, Akshay Kumar himself unveiled first look of ‘Rustom’ movie in his twitter account. Akshay Kumar had turned attention of all viewers towards himself through his ‘Rustom’ movie first look itself. If you had observed clearly, Akshay Kumar is looking in very dignified way folding his two hands as we stand before a teacher. Akshay Kumar is in Navy officer Avatar it means he is in Navy uniform along with a cap on his head. We can also see number of medals that which are decorated to his right side. Bollywood actor Akshay Kumar had already given a hint to all audience and his fans that ‘Rustom’ movie is going to release on 12th August, 2016. This mean in the week of ‘Independence Day’. Ileana D’Cruz is acting opposite to Akshay Kumar that is in female lead character in ‘Rustom’ movie. 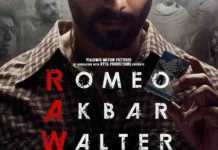 This film is directing by Tinu Suresh Desai and producing by Neeraj Pandey along with three other co-producers.